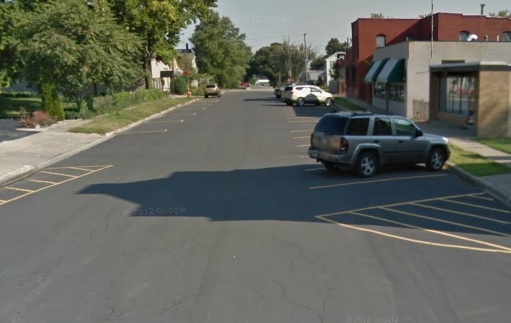 We were recently contacted by a customer interested in hiring an asphalt contractor to do parking lot repair in Pekin. The customer worked as the property manager for a local hotel and needed to find a company that specialized in parking lot paving and sealcoating to complete some work on their parking lot. The hotel had recently booked a large event and wanted to spruce up their property before the big day. They were to host a conference open to business individuals interested in driving the online growth of their companies. The conference was expected to be fairly well-attended, so it was an excellent opportunity for the hotel, but also one of high stakes. The pressure was on to ensure every last detail would satisfy the hotel’s guests, and that included the parking lot. We went out to see the lot straight away, so we could begin plans for the project. For the most part, the parking lot was in pretty good shape, needing only slight parking lot repair in a few areas. There were a few minor potholes from last winter and some scattered spots that would require crack sealing and parking lot patching. Overall, this would not be a difficult project for a company like ours with so much experience in asphalt paving in Pekin. We were able to get started on the parking lot repair right away, and began with the crack sealing to block off any passages for moisture to reach the asphalt base. This would prevent future collapses in the pavement. Next we tackled the parking lot patching, covering up the potholes and any other areas of the lot that showed damage. Once the parking lot repair work was complete, we moved on to the sealcoating. This would give the parking lot a smooth, finished look that was sure to impress the conference guests. It would also help protect the asphalt from future damage and lengthen its lifespan. When the sealcoating was done, the hotel workers were finally able to see the finished project, and they were incredibly pleased. The work our company completed made a huge difference on the overall impression of the hotel and would undoubtedly have a positive impact on the experience of the conference guests. A few weeks later, we received a message from the hotel letting us know that the conference went off without a hitch, and was so successful that the conference organizers asked them to host again the following year. The hotel thanked us for our part in making that happen and said they’d be in touch next year to schedule some parking lot maintenance. 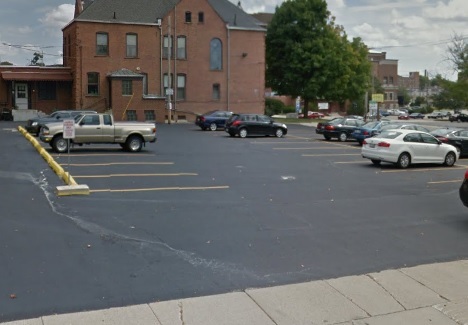 Recently, we received a call from a movie theater owner looking for a consultation for Peoria parking lot paving. The movie theater owner explained that they had just built out a huge HD theater next to a lot that was looking in bad shape. As the construction of the new theater was finishing up, they finally had most of the heavy construction equipment traffic off of the lot. He called us to see if we could save the asphalt (rather than resurface the whole thing). We scheduled a no-obligation consultation, so we could see what kind of shape the lot had and what we could offer the owner. Our expert paving contractor crew met with the owner at the lot in Peoria. We inspected and evaluated the lot thoroughly. We were pleased to tell him that with some hard work in certain areas of the lot we would be able to save them a ton of money with our parking lot repair services. We gave him an estimate that he was happy with, and we were scheduled to start on the parking lot first thing Monday morning. The parking lot repair and patching was under way. The crew arrived Monday morning and started to clean the parking lot. We do this so we can remove all the dirt, chemicals, and debris, so our repairs will be effective. The crew began working on the parking lot patching where there was extensive damage. Once the crew was able to patch these areas we moved on to filling the cracks in the lot. The crew returned the following morning to apply sealcoating, which would add strength, durability, and a nice appearance, which would be beneficial to the new HD Theater that was just built. The parking lot repairs went as planned and with the weather cooperating we were able to finish ahead of schedule for the client. The client just so happened to stop by as the crew was doing some final touches to the lot and he said the parking lot maintenance and repairs that we provided were outstanding. 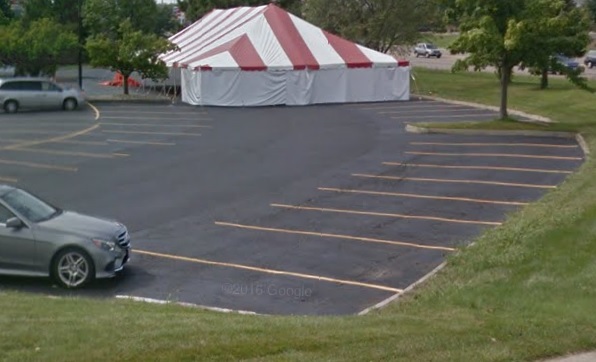 He said that he was out a ton of money building the new theater and with our affordable prices the parking lot looks as if he had a new one installed. The customer said that Perdue Pavement Solutions was the professionals in Peoria to contact for all asphalt needs. A customer recently contacted us about completing some parking lot maintenance in Dunlap. 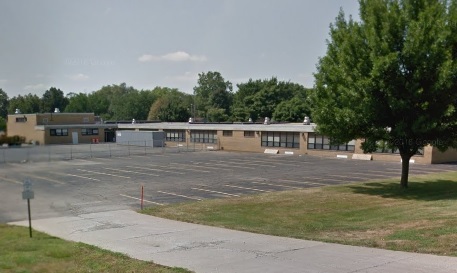 This individual was responsible for the upkeep of a local school and was interested in hiring an asphalt contractor to do parking lot repairs in Dunlap at their location. Over the past few years, the district experienced an increase in the sizes of their student bodies and as result, significantly more traffic in their parking lots. For some schools, including the one that contacted us, this resulted in damage to the asphalt that exceeded the usual yearly wear and tear. The customer wanted to have the parking lot repair work complete before the beginning of the new school year. He also wanted to investigate more hardy options for the pavement that wouldn’t damage so easily. With our significant expertise in asphalt paving in Dunlap, we were just the company for the job. We developed a plan for the project and gave the customer an estimate. Pleased with both, he gave us the go-ahead to begin our work. We started off by completing the parking lot patching, covering any potholes or areas with significant damage. Next, we moved on to the crack sealing, a process that would help protect the asphalt base from any contact with moisture. Moisture could weaken the base, which would provide opportunities for damage similar to that which we saw in other areas of the lot. Once the parking lot repair work was complete, we could move on to the customer’s other request: that this new parking lot last longer than its predecessor. To accomplish this, we began sealcoating the area. This would add an extra layer of protection to reduce cracking and prevent moisture from weakening the pavement. The sealcoating also provided an additional bonus of making the lot look fresh and new. We were able to complete all our work well before the beginning of the new school year. The customer was incredibly pleased with our work and our efficiency. We recommended that he set up a parking lot maintenance plan with us, to ensure any potential problems with the lot were addressed immediately and before they could cause more serious damage. The customer said he looked forward to working with us again in the future. He promised to recommend our services to other schools in the district that were interested in hiring a paving contractor that guaranteed high-quality and lasting results. A chef was wanting to open a new restaurant with a tiny budget, and he had chosen a really run down building that was located next to a terrible looking lot. He had chosen this location for its amazingly low price, and he had to put a ton of his own work into the building to bring it up to code and designing it to be a place he would want to spend all his time. He called us initially for our services dealing with parking lot repair in East Peoria. He seemed to be a pretty skilled carpenter, but he had no idea what to do with the asphalt and knew it needed improvement. He called us for an estimate, and we were able to give him a good idea of what the lot would look like once we were through. Our asphalt contractor specialists met with the chef at his new restaurant location. We walked around the lot evaluating the condition and to see what we could offer him. We went through several different options with him, and with our parking lot maintenance services the lot would look good as new when we were done, then gave him an estimate that he could afford. The crew arrived on the day that was scheduled. The sun was shining and there wasn’t any rain in the future forecast, which would help in getting the project done on time. The crew began cleaning the lot, then they started the parking lot patching and crack sealing the problem areas. The crew then made additional parking lot repairs, and afterwards the sealcoating was applied. We were able to have the parking lot looking fantastic for the customer. When we were all finished, the business owner said the parking lot turned out just like we said it would. He told us that he had had his doubts because the lot was in such bad shape, but with our parking lot paving service it now looked great! He was really happy with our work, and even invited some of our crew members to the soft opening of the restaurant so we could try his food. We were thrilled at the thought of some delicious food, and even more proud that we were able to help out a local business owner get off the ground and up and running. Large Project made easy- Simple and Straightforward! A few months ago, we were approached by a woman looking to hire an asphalt contractor in Morton to do some repair work on her property. She claimed her parking surface was in fairly good condition but wanted to have some crack sealing and sealcoating done to ensure the asphalt was at the top of its game for a big event she was hosting next year. 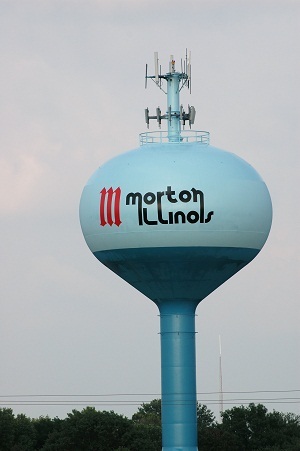 We went out to Morton to check out her property and give her an estimate on the asphalt maintenance work. Just as the woman said, the driveway was in great condition, but with a little work from us, it could be even better. This was exactly what the customer wanted for her big event. As it turned out, the event was a wedding, specifically the wedding of her only son. He had recently gotten engaged, and he and his future spouse decided they wanted their wedding at his mother’s house. Her house resided on a large, wooded property that would make a picturesque backdrop for the festivities; it was an excellent choice on his part and his mother was thrilled. She wanted everything to be perfect for him, so she started on the preparations straight away. We assured her that our specialty was parking lot paving and repair, so this would be no problem for us. She wanted to make sure the long, winding driveway leading up to her parking area was in excellent condition, as it would be one of the first things guests would see as they made their way to the backyard for the ceremony. We came up with a plan that would exactly satisfy her needs and presented our ideas and estimate to her the next day. She agreed to the plan and was eager to get started on the improvements. We began with the crack sealing, covering up any minor cracks that were even somewhat visible and had even the slightest chance of allowing moisture to soak the asphalt base. No services like parking lot patching were required, so we were able to move straight on to the sealcoating. This step would result in the most dramatic change to the look of the asphalt, giving it a sleek, smooth finish that would impress the wedding guests in exactly the way the mother wanted. With that, we were all finished. The customer was immensely pleased with the results and was glad to check the project off her list without a single worry. She asked us to come back the following year for a maintenance check and even promised to tell all her friends to call us if they ever needed a paving contractor in Morton. A few months ago, we were contacted by the landlord of a local strip mall. She was in the market for a paving contractor in Washington and came across our business. The landlord wanted a consult on some possible parking lot repair work. We agreed to send someone from our team over to her property to see how extensive the repairs would be. It was clear once we arrived that the damage to the lot would require a significant amount of work. The areas of the lot nearest the storefronts were still in relatively good condition; there were minor cracks throughout the area and a few small potholes, but on-the-whole nothing too devastating. Toward the back of the lot however, the situation was much more hairy. The numerous large potholes and widespread cracking of the pavement made it clear that the landlord subscribed to the idea of “out of sight, out of mind,” and that the far reaches of the parking lot had been neglected over time. 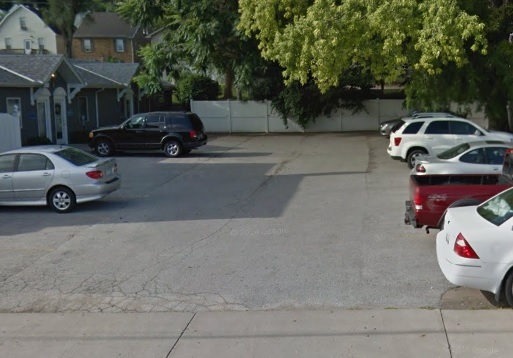 The landlord admitted that, in an effort to save costs, they’d focused on parking lot maintenance for the front of the lot, as the number of patrons didn’t usually call for the use of the extra spots. In recent months however, new tenants in the strip mall had been attracting larger quantities of customers, such that the forgotten rear of the parking lot was now necessary to accommodate everyone. 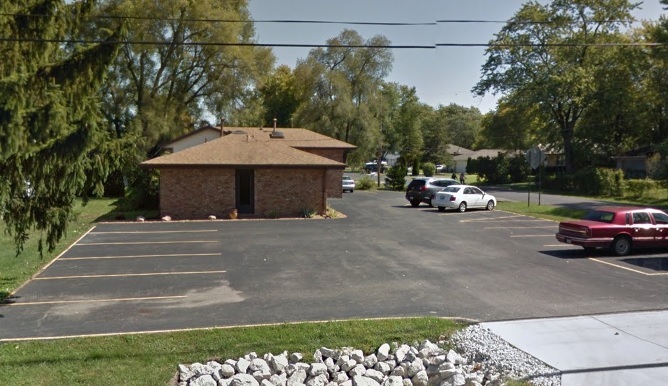 After receiving some complaints regarding the quality of the back lot, the landlord determined it would be prudent to take care of the issues and hire an asphalt paving company with experience in parking lot repair in Washington. 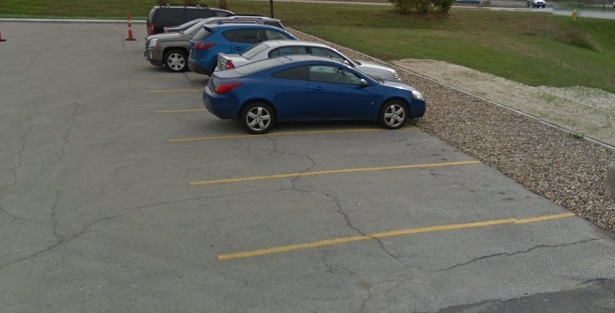 We agreed that the damage to the parking lot should be addressed, and quickly came up with a plan and estimate for the project, which the landlord agreed to. We began with the parking lot patching to take care of the countless potholes that spotted the lot. Once that was finished, we moved on to the crack sealing. Due to the lack of prior parking lot maintenance, each of these tasks took a considerable amount of time, but our team was very willing to put in the necessary time and effort to achieve a quality final product for our customer. Once the parking lot repair work was complete, we moved on to sealcoating the parking lot. Not only would this improve the look of the lot, but it would also result in a longer lifespan of the asphalt and a lower possibility for damage. We did however, suggest that the landlord set up a parking lot maintenance plan with us to ensure regular upkeep of the parking lot from a company with much expertise in asphalt paving. The customer was thankful for the advice and for the high quality of our parking lot repair work.